Here is another favorite quick dinner recipe that I’ve been meaning to share. It fits my requirements to a quick dinner: it is easy to prepare, healthy and versatile. In fact, frittata is the ultimate versatile meal: you can use whatever vegetable you have on hand, add some protein (or not), round it off with some egg and cheese mixture, and you got a tasty dinner! I love cooking “creatively”: play with ingredients I have around, add fresh herbs and spices, come up with new combinations of flavors based on our preferences. It is fun! This frittata recipe is one of those blank canvases that you can experiment with. 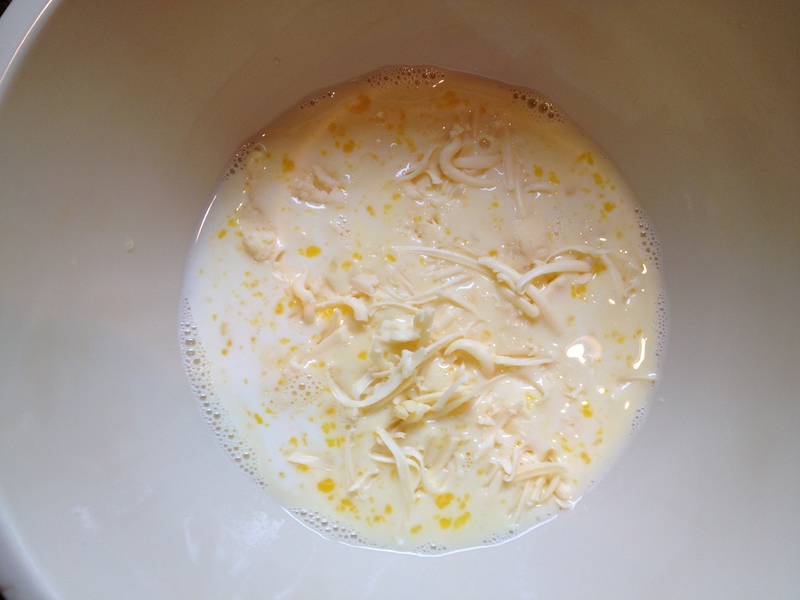 As long as you keep the ratio of eggs to milk within recommended by the recipe, you will have a fine dish in the end! I liked this particular recipe shared by Amy because it uses both egg white and eggs, and milk instead of cream, which makes it lighter. 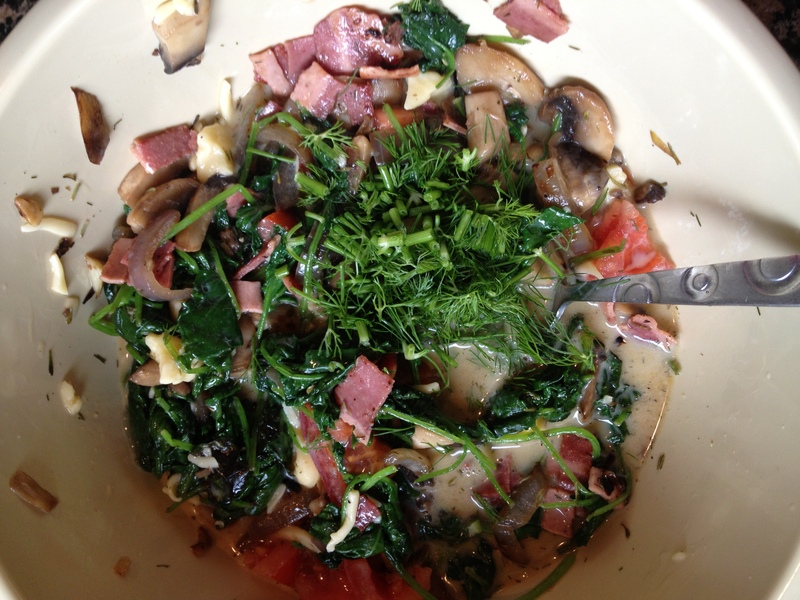 I had also never cooked with kale before, and Amy’s recipe looked like a great way to start. I made a couple of changes based on what I had on hand, and we all loved the end result. Feel free to tweak this recipe to suit your taste! I put this dish in a “fast dinners” category because the hands-on time is 10 minutes or less. Depending on what you choose to put in it, there may be no pre-cooking required. While it is baking, I am free to go do other things around the house. 4 egg whites (I used egg whites in a carton). Or use 5 whole eggs. 1. Preheat oven to 350 degrees F. Spray a 9 or 10 inch baking dish or pie plate and set aside. 2. 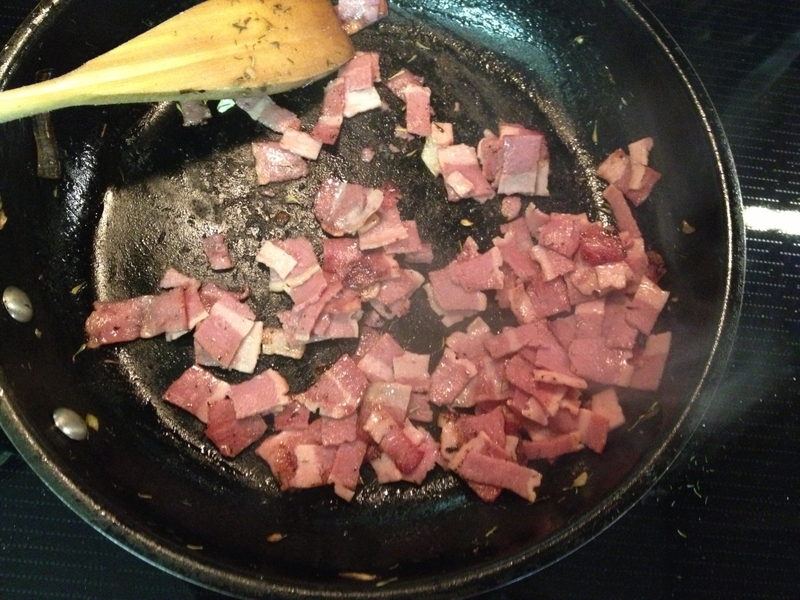 Cook bacon until brown, crumble. 3. Saute onion and garlic for a minute or two, until onion just starts to get soft. 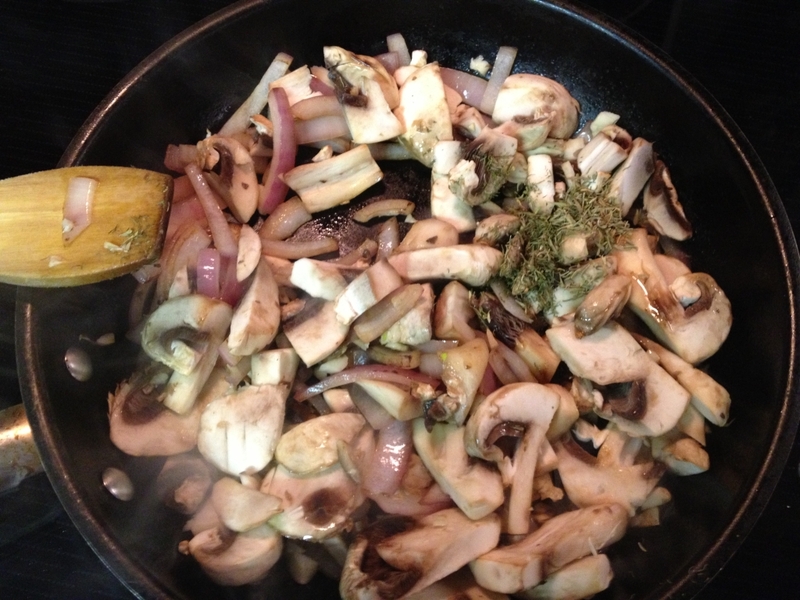 Add mushrooms and thyme and saute for 3-4 minutes, remove on a plate. 4. 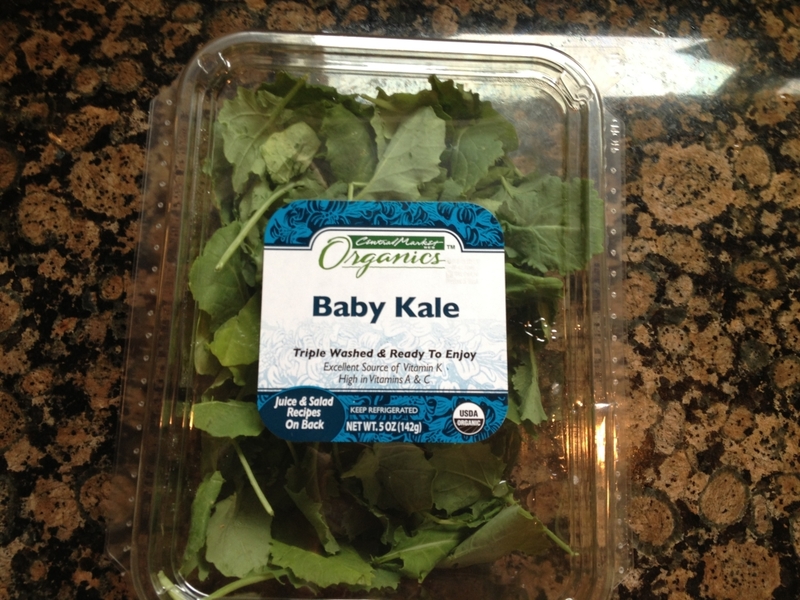 Saute kale for a minute– it wilts fast. Add to the plate with the onion and mushrooms. 5. 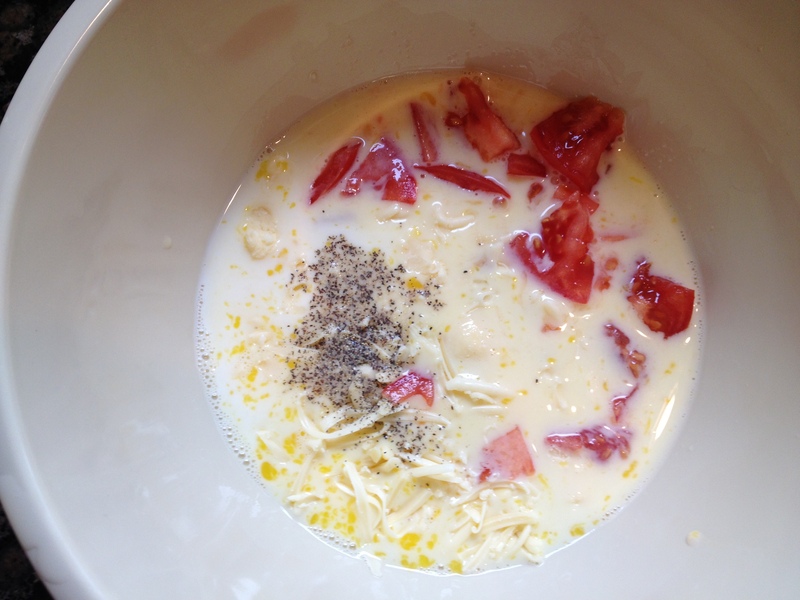 Mix eggs, egg whites, milk and cheese with salt and pepper in a bowl. Add, tomato, sauteed vegetables and dill. Give everything a good stir and pour in the baking dish. 6. Bake until set, 30– 35 minutes (Ovens vary. Mine tends to cook on a hotter side). I also like mini-frittatas baked in a muffin tin. These work great as a quick breakfast, or portable lunch (reduce baking time to about 20 minutes, and remember to spray the muffin tins!). I don’t recommend freezing them: in my experience, they taste fine after being defrosted, but their texture changes and there is some water separation. 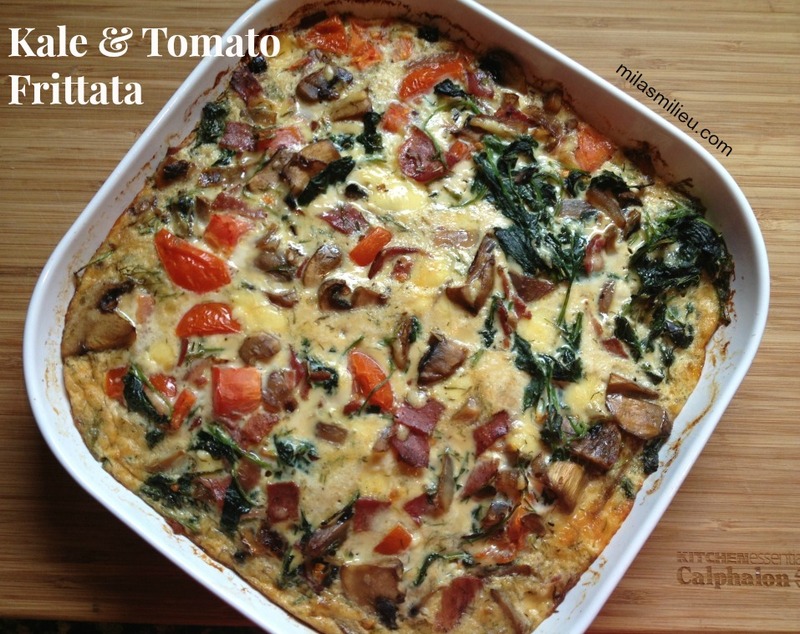 I am so glad you enjoyed the frittata, Mila, and I’m flattered that you posted about it! I think the next time I make it, I’m going to try some feta cheese in it. Have a great day! Yum this looks awesome – love the idea of putting kale in there. My kids would really enjoy this! Hi Morgan! My kids really like the frittata too. And you can always tweak the filling ingredients to include/leave out based on their preferences– a big plus, if you have picky eaters. Thanks for stopping by! I know what’s for dinner at my house tonight! frittatas are the best. Thanks for sharing. I agree, Inci. 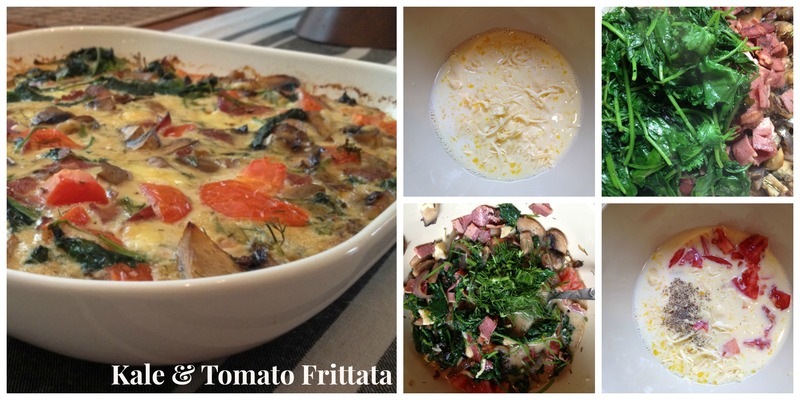 I like making frittatas for their versatility– great for cleaning out the fridge!